INSTAGRAM COMING TO BLACKBERRY? TRUE OR NOT? 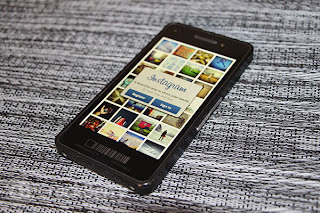 Venture Beat , a week back, posted that Facebook has no plans to release Instagram for the Blackberry 10. But, Kevin Michaluk of Crackberry stated : '' Don't believe everything you read, Instagram is definitely coming to Blackberry 10 ''. He also stated that his sources were far better than Venture Beat. There is a firm confirmation regarding the fact that RIM continues to have a strong relationship with Facebook, who now owns Instagram, and that you will see Instagram come to BlackBerry 10. Further adding that Facebook was part of the keynote at the BlackBerry Jam Americas conference, and it seems pretty likely that Instagram would come to BB 10. I am quite sure regarding the fact that everyone is in fact eager to see Instagram on the BB 10. Also, there are slight rumours rising that Instagram might also be seen on the WP 8 Devices as Facebook also has a pretty good relationship with the Windows. Let us wait and watch what it is all about. We will keep you updated regarding the same. 0 Respones to "INSTAGRAM COMING TO BLACKBERRY? TRUE OR NOT?"